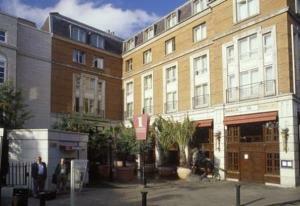 Grafton Capital Hotel, Dublin discount hotels and accommodation. The Grafton Capital Hotel is one of Dublins best located Hotels – Just off Grafton Street in the very heart of the City Centre. Our excellent location and traditional Irish hospitality makes the Grafton Capital Hotel the perfect choice for Business or Pleasure. Within walking distance from the hotel are some of Dublins top attractions – Lively Temple Bar, Trinity College, Dublin Castle, St. Stephens Green and Dublins shopping district of Grafton Street, enlivened with Street Entertainers, musicians and Pavement Artists. Some of Irelands finest art Galleries and museums are also located just paces from the hotel. The core of Dublins Business District, The International Financial Services Centre (IFSC) is a ten minute walk away. View photos, room descriptions and make online reservations at Grafton Capital Hotel. Save on room prices at Grafton Capital Hotel, Dublin.